The Editor's Weblog: Tada.. here I am! 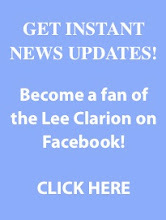 Hello, I'm Michelle Bollman, the new managing editor of the Lee Clarion and apparently the "new Harrison Keely." Though the managing editor of the newspaper changes like clockwork every few semesters, for some reason Harrison Keely became more than himself, he became a entire job description. Yes, I have replaced Harrison, because he GRADUATED. Though we have the same job titles, I can assure you I won't "become" Harrison Keely over the next year. -I don't like to eat at the dining hall, therefore you will never see me picking up your plates to return them to their homes and, in that case, I most likely will not be able to tweet about what they made for lunch today or blog about how long that blue hanger has been in the cafeteria's men's bathroom. -I don't ride a bike. I have a car. And personally, I think I should get a reserved parking space in the back of the PCSU, so campus safety if your reading this and see a green Ford focus parked illegally. PLEASE spare me. Please? -I can't say I'm one to open doors. I usually fail to notice the people that are walking behind me.. therefore you most likely won't find me greeting you while holding open the Conn Center doors on the way into chapel. -I usually don't find myself walking up to random people and striking up conversation, however, if you ever see me around don't be afraid to stop and introduce yourself! -And last, but not least, I don't take pictures or record random videos. I'm sorry, but your memories will be archived through the photography team, not myself, but you'll still be able to find all event photos on the Lee Clarion Facebook page! Don't get me wrong, I miss Harrison as much as the next person... but it's time he bless another city! Let it be said, let it be done. NO-HARRISON-MISSING! So next time I'm introduced to you as "the new Harrison Keely" at least try to remember my name... for the record, it's Michelle.